There’s no doubt about it. Local SEO is as vital to your business as anything else nowadays and you had better jump on the bandwagon before it’s too late. 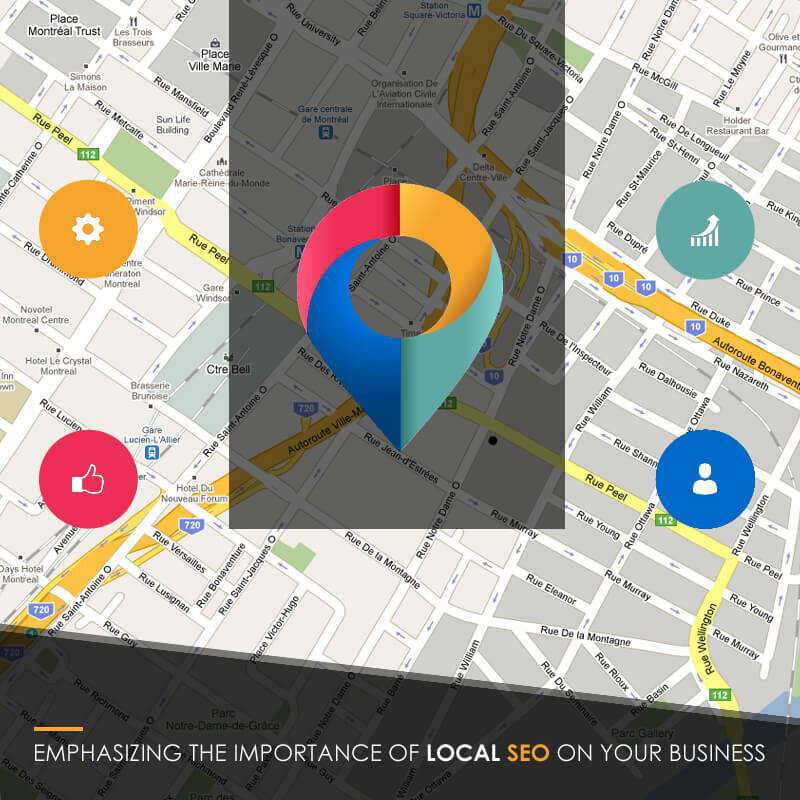 Local SEO allows for people to find your business among the myriad of other businesses out there. It calls for optimizing your website or sites so that search engines can rank you high enough so that your business an brand name are acknowledged and recognized. I takes some craftiness to do local SEO properly and missing out on the fundamental steps means you’re losing revenue, reputation, and more. First of all if people can’t find your business, you’re useless. Sure they can spot your sign while driving down the road but that’s not enough. Traditional promotions like advertising in newspapers and circulars still works but to day this is a digital, computing age that calls for utilizing the technologies available. You need to educate yourself on what the new way of things is doing and how to incorporate them in your business strategies or your competition that is, will beat you into the ground. Again, it starts by optimizing your website. Making it professional looking first with plenty of significant content that is relevant to your business and to just a bunch of pictures and texts. You’re tying to get noticed by the search engines and directories, then you want to captivate the surfer to engage with your site by bookmarking it, returning, and making a purchase. This is where salesmanship comes into play. If you can’t sell your products and services, no one can. You need to capture that attention of the surfer and keep it. This doesn’t mean burdening your site with all the new bells and whistles, but just enough where the surfer knows what you do, how you do it, an-dhow to take part easily. Use professionally written copy. Make sure it addresses the interests and answers questions they may have. Be precise and not spammy. Make it attractive though and that the emphasis should be on that your product or service is the better and best value for their hard earned dollar. Show off some reviews from happy customers, review sites. Use video to your advantage and a YouTube channel is a great option. That channel should feture videos of what you do and should b e tagged and linked to with all the proper keywords and keyphrases that are pertinent to your business. You’ll need to master social media as well. Have those Facebook pages where you can post pics, videos, stories and such that others will like, share, and respond to. If you’re a restaurant and you feature seafood, then pick a dish, a specialty like lobster and show a pic or video of a portion and make it look irresistible to the point the viewer’s mouth starts to water. Mention the price and any discounts and emphasize that yours is the best. Add location, name, phone number, contact information and embed a ‘like’ or ‘share’ in the video. It’s easy and there are tutorials on how to do this on YouTube itself. Make your site mobile friendly. Mobile is the way to go as more mobile devices are coming out and the present ones are being improved monthly. Today a majority of sales are via mobile. Google has tools for this in their business section. Do that homework and apply the tools and strategies. This is most important for sites like Craigslist, Angieslist, and Yelp. Little by little, your local SEO campaign will pay off. Just keep that shoulder to the computer and nose to the monitor and you’ll do fine.